Some of our Chaplain Trainees have been working with the Baguio City Jail and Benguet District Jail (La Trinidad). They asked if we could put some of the products produced by the inmates (as part of their retraining and income development) would be put on the Web. 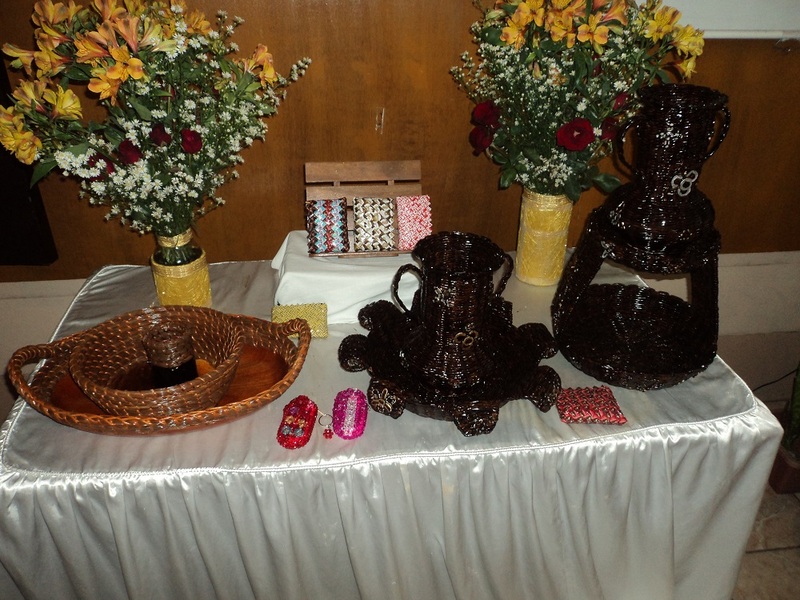 The items that are brown look like they are wicker, but are actually skillfully made from tightly rolled-up newspaper. You would be amazed at some of the products and how they are made from things most of us throw away. We own a beautiful swan sculpture picture frame made at the Baguio City Jail from gum wrappers. It is inspiring and reminds us how God takes people the world has “thrown out” and makes something wonderful and new from their lives. We are not a store (and don’t plan to become one anytime soon). 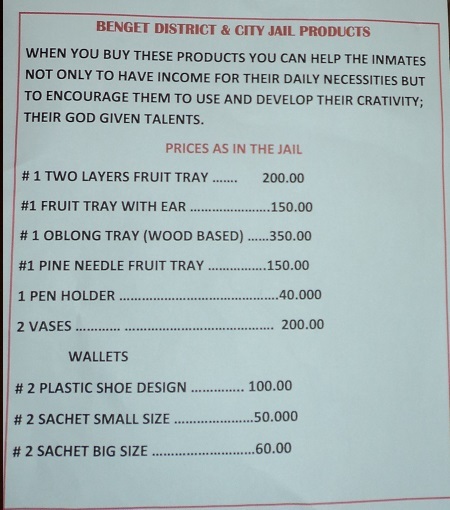 Still, we are wholeheartedly in support of helping the inmates in their wholistic growth and rehab. If you have any questions about the products, please forward them to us at info@bukallife.org, and we will gladly forward them to Sister Tammy.